News, Tips & Advice - Design Effects - Direct Paint Australia’s online paint experts. Quality products, delivered to your door. With the release of Dulux's new Design Effects paint range, we thought we would take a look at how popular these trending effects have become and how easy it is to create yourself. The Dulux Design Effects range consists of concrete, copper, stainless steel, gold, metal shimmer and rust...... and these are all materials that are currently on-trend and being used everywhere. We have found some ways in how you can add these Design Effects to your space with paint! If you don't want your space to feel too cold, add some timber or natural brick for warmth - this works as a nice contrast against the concrete and adds another dimension to your space. 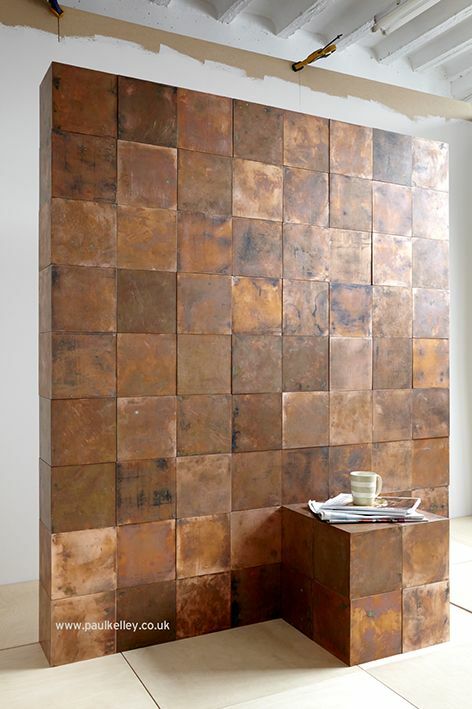 For something different, create a Copper Patina effect for added colour and interest. For a real sophistaicated modern look, team black or charcoal with your Stainless Steel. White and Gold work well together for a lighter angelic look otherwise add grey with your Gold for a real modern twist. If your not game enough to go for Stainless Steel or Gold, then think Metal Shimmer for a more softer metallic look. Add some Rust to your interior or exterior - if you want the effect to continue to rust leave it unfinished, otherwise coat it with a clear sealer like Cabots Cabothane Clear to prevent further rusting. Any of these effects are easy to achieve with Dulux Design Effects range! Otherwise you can still create these looks with wallpaper. Check out our Colour Consultancy page to find out more about our blogger/Interior Designer Tanya Graetz, as well as our Colour Consutlancy Packages.